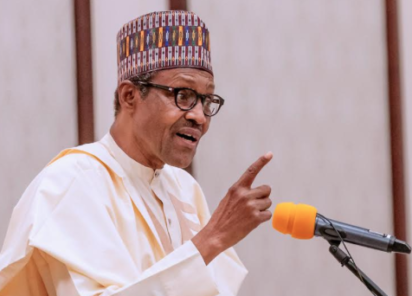 President Muhammadu Buhari has reacted to the public outrage that trailed the extrajudicial killing of Kolade Johnson in the Onipetesi area of Lagos on Sunday, assuring Nigerians that the alleged killers will be prosecuted. The Lagos State Police Command stated that the killer cops were attached to the Anti - Cultism Squad, a police formation that many people have been accusing of harassment and extortion. Reacting to Johnson’s killing on Wednesday, via his official Twitter handle, @MBuhari, the President said the incident was regrettable. He wrote, “The recent unfortunate action of SARS operatives from the Lagos State Police Command, which led to the avoidable death of Mr Kolade Johnson, is deeply regretted. Once again, our condolences (go) to the family of the deceased. I ’m aware (that) the police authorities have visited them (family). “I acknowledge the genuine outrage from citizens and civil society groups regarding the activities of SARS. As you’re aware, the suspects in the Kolade Johnson killing are in custody. When the orderly - room trial is concluded, the indicted officers will be prosecuted in court. Also in a statement by his Special Adviser on Media and Publicity, Mr Femi Adesina, on Wednesday, Buhari emphasised that the killers of Kolade, who was watching a live English Premiership football match when the SACS operatives shot in the air in an attempt to arrest a resident, leading to the victim’s death, would not go unpunished. Some Nigerians, who reacted to Buhari ’s tweets on the murder, commended his intervention but doubted his commitment to sanitise the police and curb the excesses of police personnel.